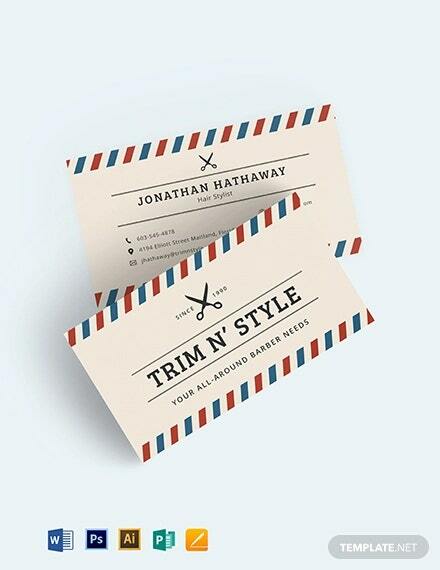 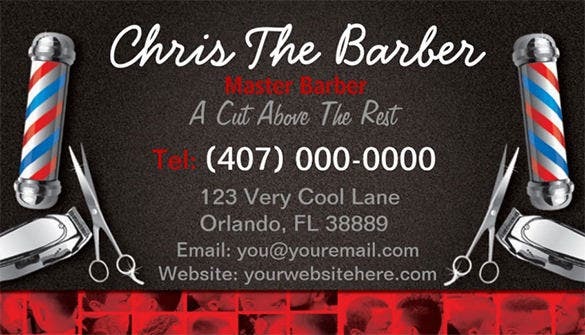 A barber’s business card can be made very creatively. 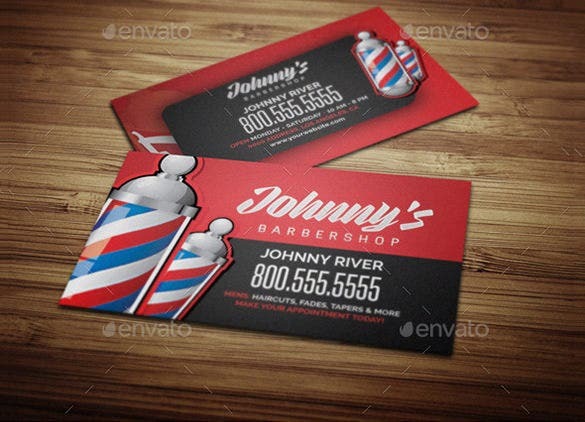 From scissors to shaving knives a barber can print a variety of relevant icons on his card. 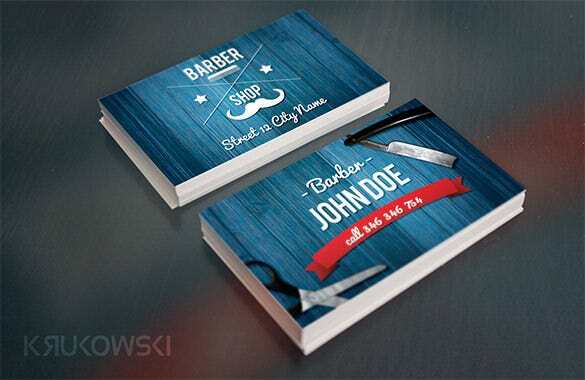 Our wide ranges of barber business cards are ideal for this purpose. 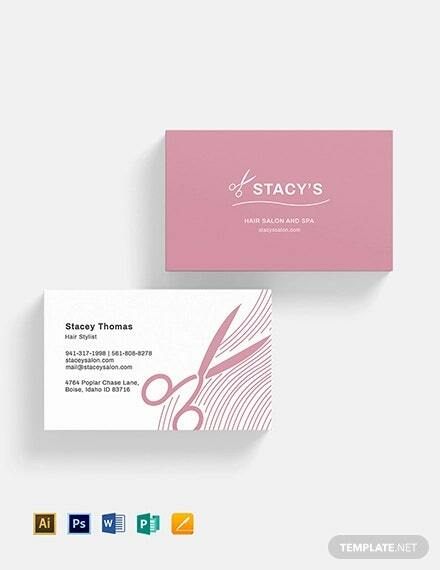 These white business cards can be downloaded for free, they are easy to edit and are available in numerous patterns, colors and shades. 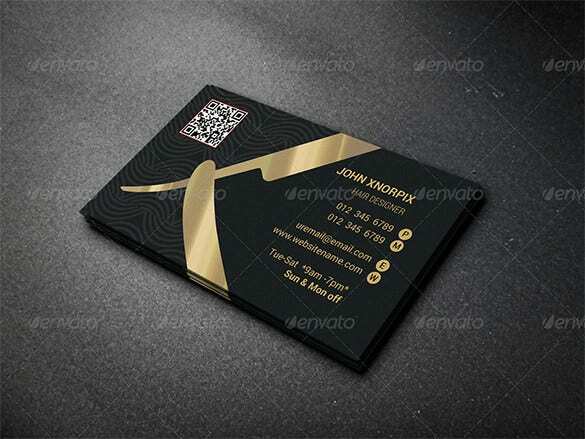 This barber’s business card looks truly elegant given the imperial combo of black and gold. 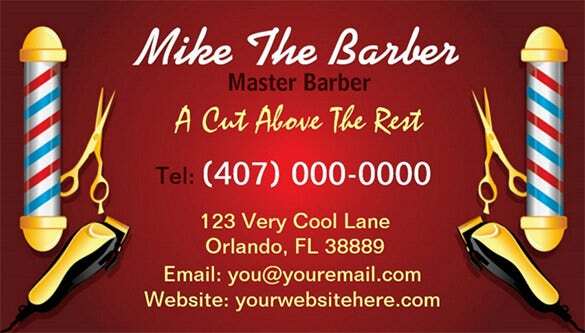 It’s apt to use golden for the knife as it’s the most important tool for any barber. 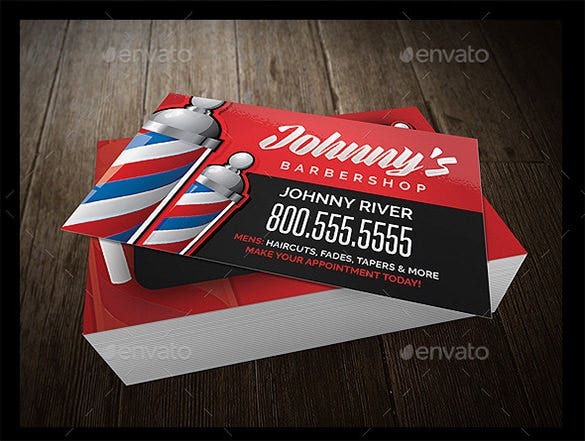 This barber shop business card comes with a unique feel of a mail from the old bygone days when email was not prevalent. 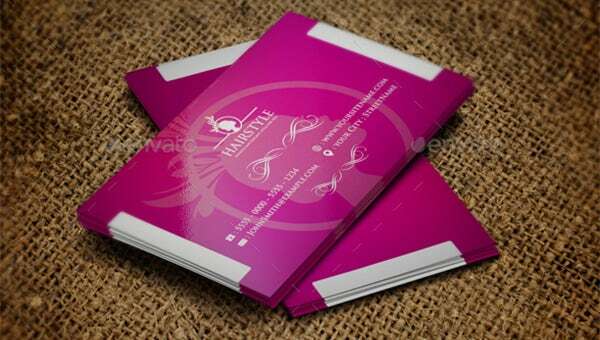 The back side of the card can be used for your name and contact details. 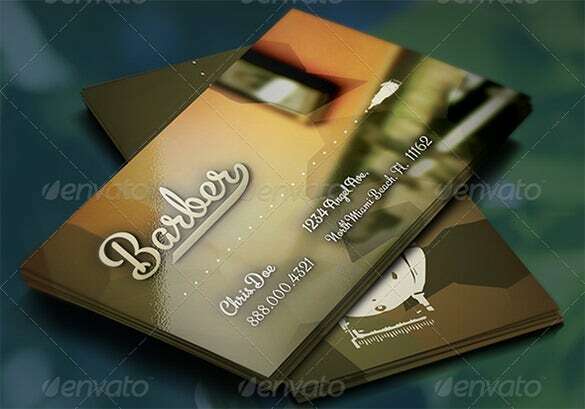 The blurred image of the mirror reminds instantly of a barber shop and complements the feel of the overall card. 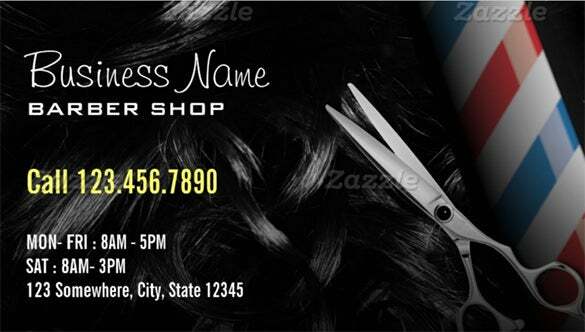 You can add your name and contact details on the front side only. 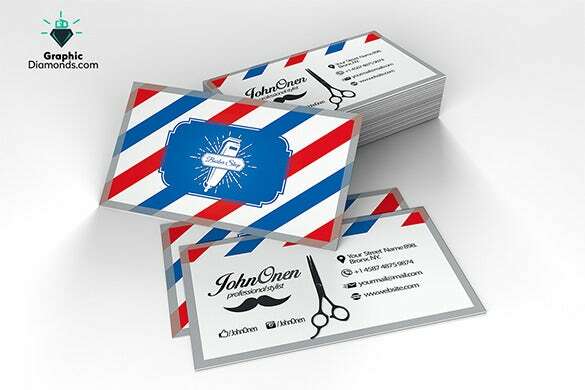 This is a smart and edgy barbershop business card which creates the desired feel with the main accessories of a barber like scissors, nail cutter etc. 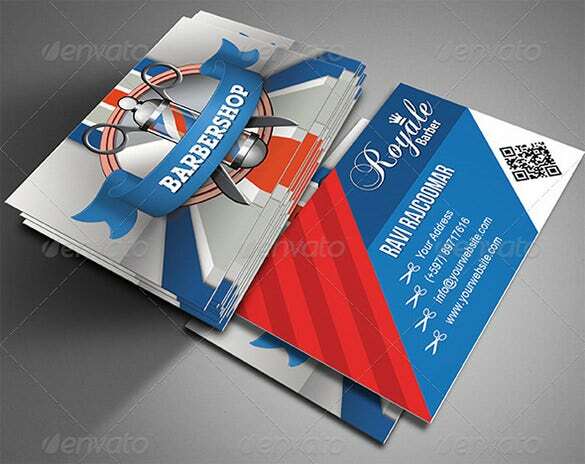 at the card borders. 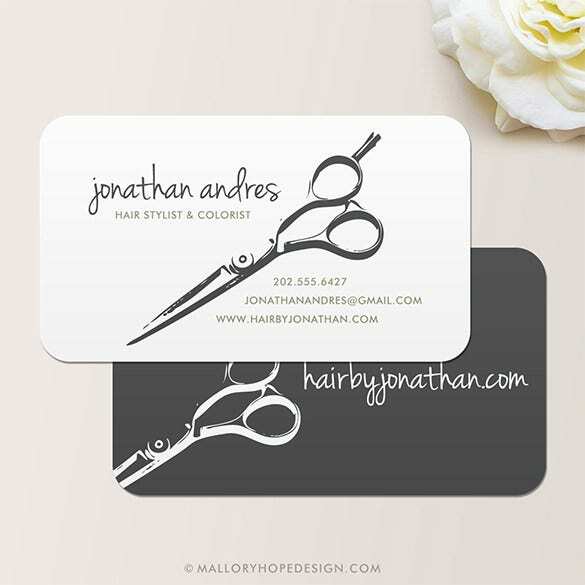 The tuft of hair ant the sides of the card and the scissor right at the center smartly manifest the exact feel of a barbershop. 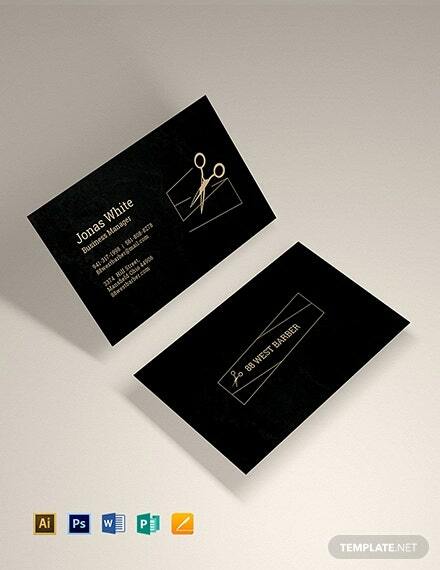 You can include all your details at the back of the card. 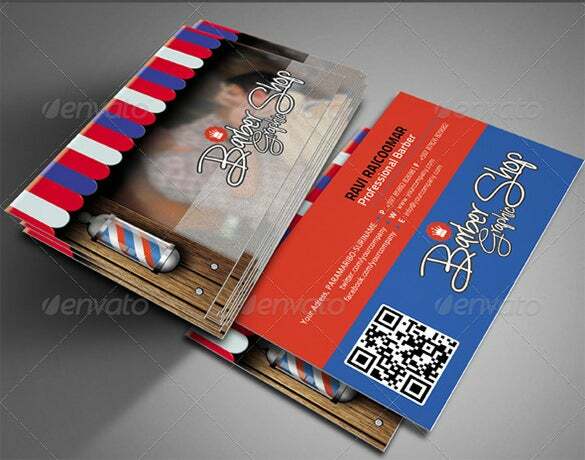 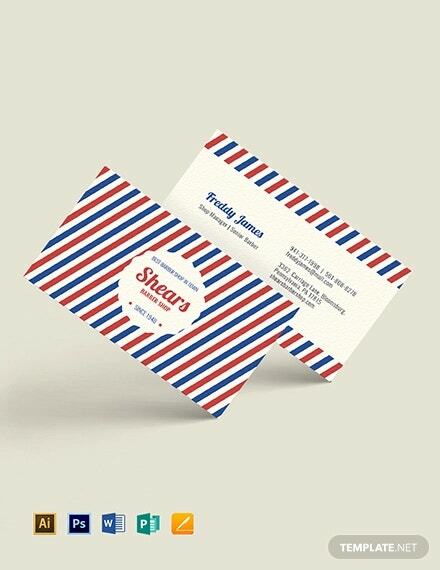 You are getting a very colorful double side standard business card here for your barber shop. 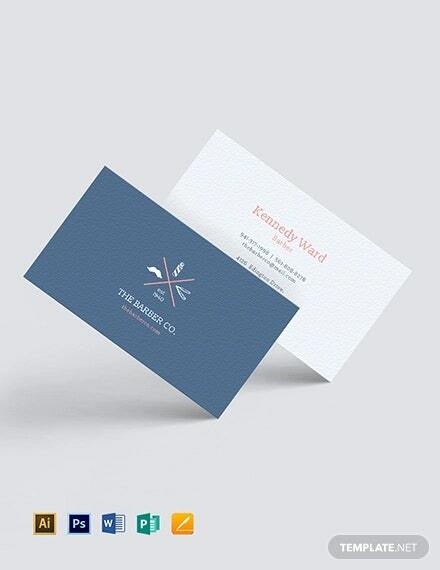 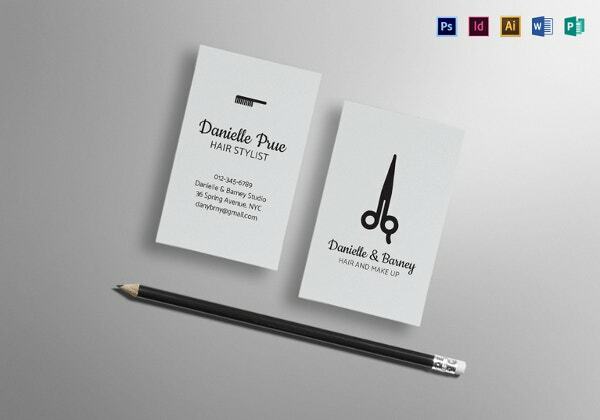 With barber pole and scissors and the nail cutter- it looks the perfect business card for a barber. 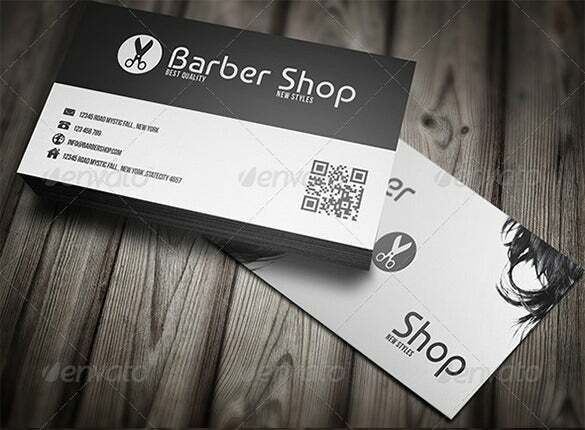 These business cards contain the barber’s shop details, his name, contact details, shop address and lots of other important information. 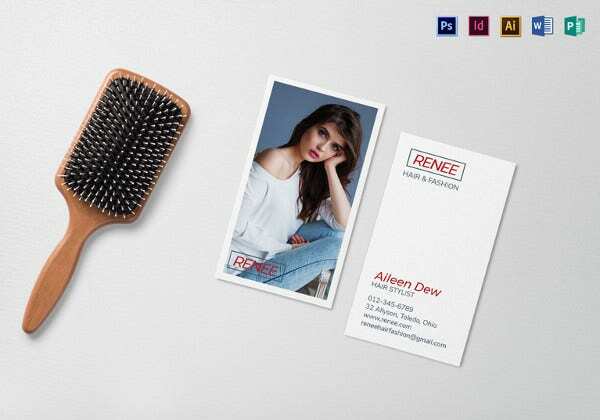 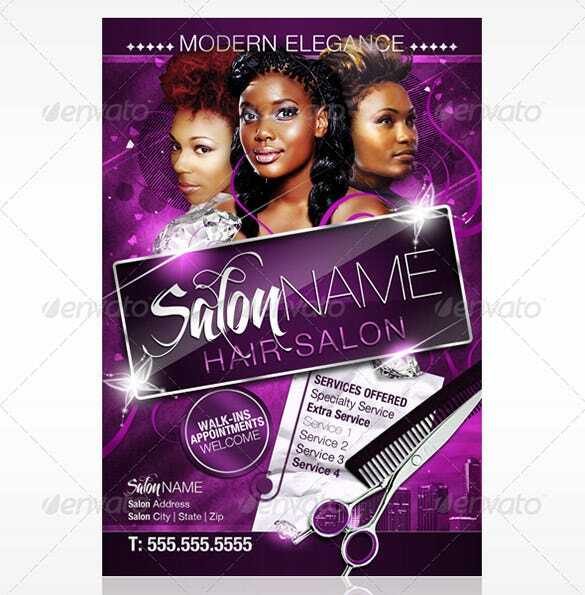 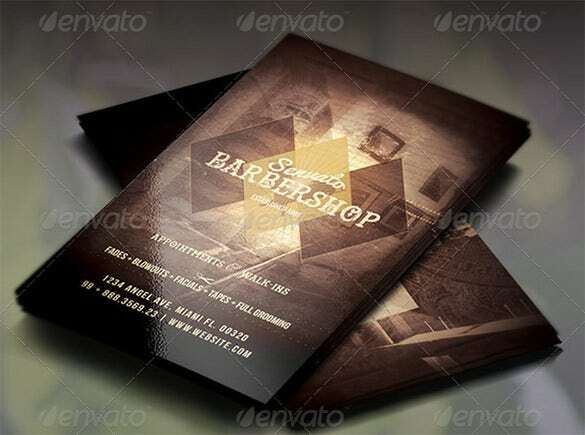 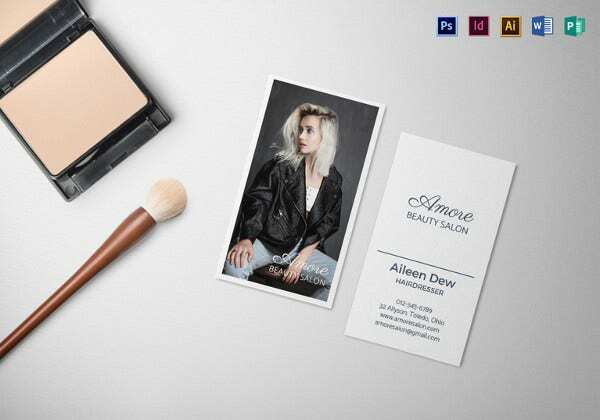 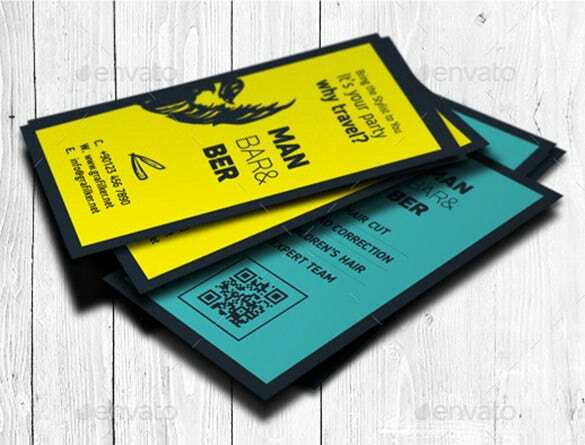 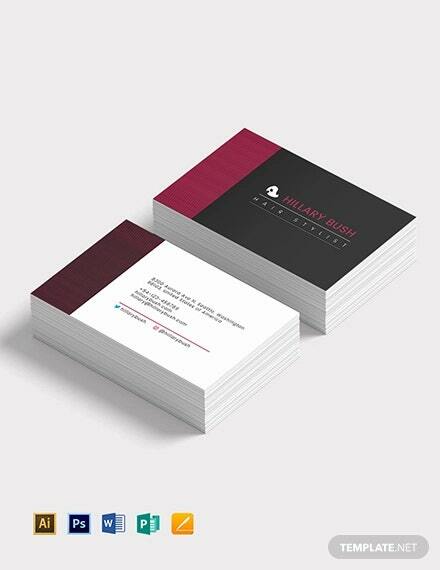 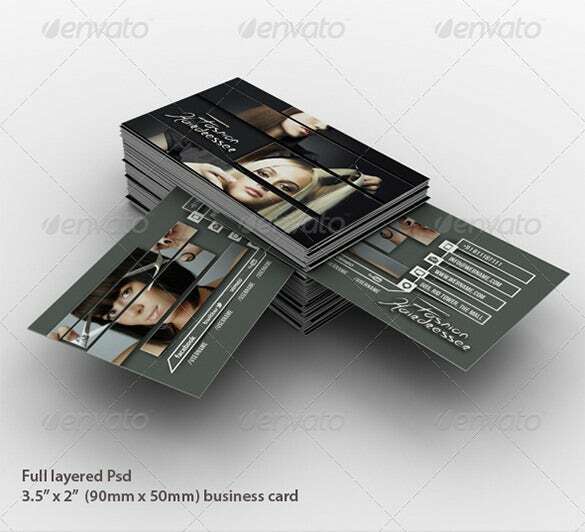 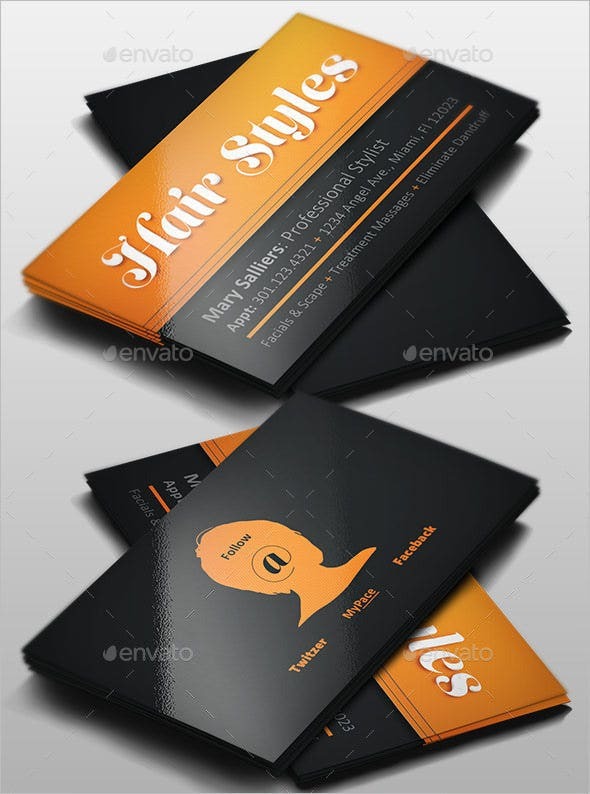 These business card templates are highly popular amongst salons, spas, and parlors. 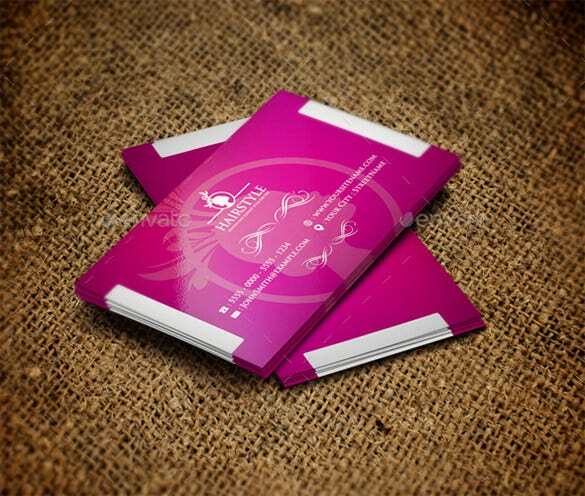 These business cards are highly vibrant and are bound to catch the attention of the receivers.